Dr. Soo-Young Kwon (PhD, 2003) has been appointed Dean of the College of Theology and the United Graduate School of Theology of Yonsei University in Seoul, Korea. Dr. Kwon, who earned his doctorate in religion and psychology from the GTU in 2003, will begin his new position on February 1, 2018. He has served previously as professor of pastoral theology and director of the Center for Counseling and Coaching Services at United Graduate School of Theology, Yonsei University. An ordained United Methodist minister, Dr. Kwon is the author of more than twenty books, and a three-time recipient of the Yonsei University faculty award for excellence in teaching. 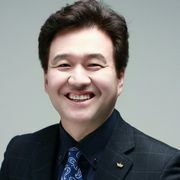 He has served as president of the Korean Association of Christian Counseling & Psychology since 2016, and became president of the Korean Association of Couple & Family Counseling and the Association for the Korean Counseling Professionals in 2017. He is well known for his emphasis on intercultural dialogue, as well as his interdisciplinary approach that brings together theology, psychology, and other social sciences. Dr. Kwon’s research interests include methods in pastoral (practical) theology, multicultural counseling, and spiritually integrated psychotherapy. Yonsei University is the first modern university in Korea, and was founded in 1885 by U.S. missionaries. Since its inception, the school has produced numerous pioneers and leaders for Korean society and the world. Congratulations, Dr. Soo-Young Kwon, from your friends, colleagues, and fellow alumni at the GTU!